This 1 by 2 HDMI 2.0 UHD AV Splitter with HDCP 2.2 is an advanced solution for splitting a single HDMI input to two HDMI outputs. 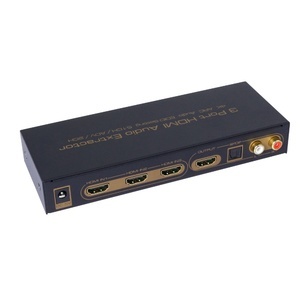 It provides high performance audio and video output through HDMI cables up to 4K2K@60Hz resolution and is capable of receiving and transmitting up to 18Gbps of bandwidth with no data loss. Perfect for new 4K video sources such as IQ4, Playstation 4 Pro or Xbox S One and other devices that require 4K2K@60Hz with 24bit RGB/YCBCR 4:4:4 / YCBCR 4:2:2 specifications. 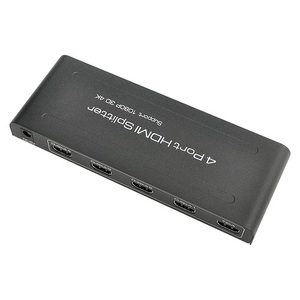 Also has a built in HDCP Converter / Stripper. 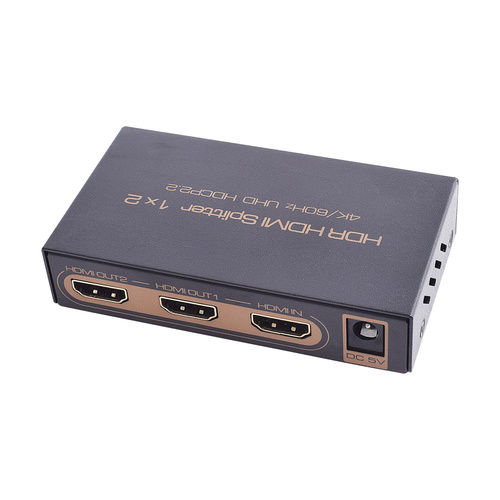 It is able to convert HDCP 2.2 to HDCP 1.4 or HDCP 1.4 to HDCP 2.2. Supporting the latest features you can be assured of reliable and high quality HDMI distribution. 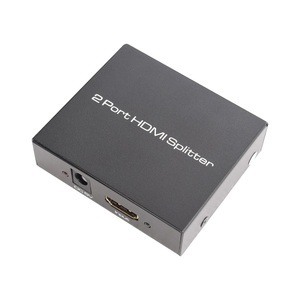 The HDMI splitter works as presented. BUT.... 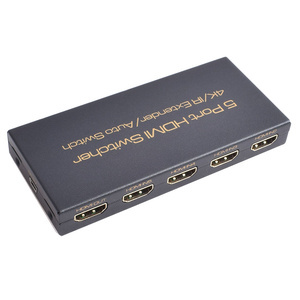 It really depends on how HDMI responds in the handshaking device within the HDMI. These are two layers of handshaking HDMI 2 and HDCP 2.2. 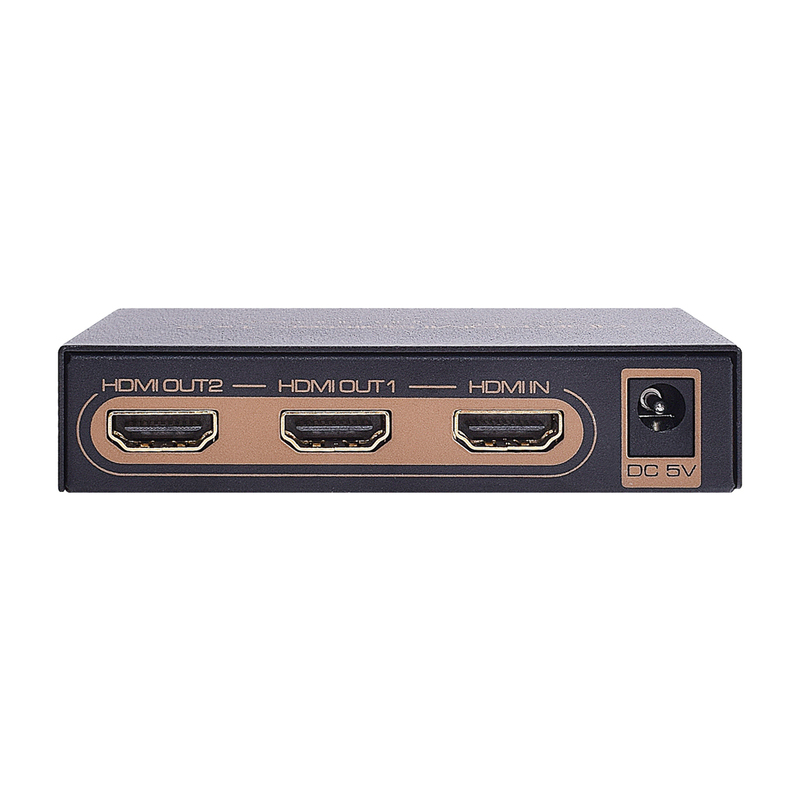 HDMI 2 ensures full for bandwidth for 4K whereas HDCP 2.2 is the latest High definition copy protection for 4K. .It can work but still fail after a while of use. It has to be taken on a case to case basis. The situation can vary greatly as we have CEC to contend with. 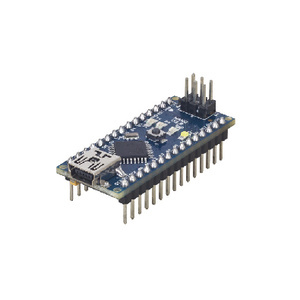 It is implemented very differently from the device to the device. It is not a simple matter of duplication as signal syncing varies in speed and interpretation also in each devices HDMI internal port. 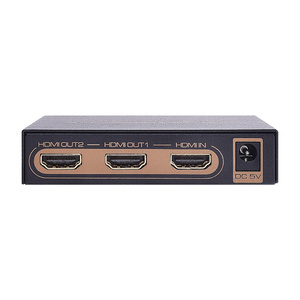 CEC is turned on in their firmware can turn on and off each other by handshaking through the HDMI cable. For example, suppose we have a TV 4K and a Projector 4K on at the same time. Timings and implementation of CEC will be greatly variable. Another factor is HDCP sending an okay signal and the timing of the handshake Yes or No. So you can end up with quite literally a hung device or simply a black screen or even NO sound. Netflix in 4K sends out an HDCP handshake test and if the timing is not precise it will black out screen or sound will shut down. 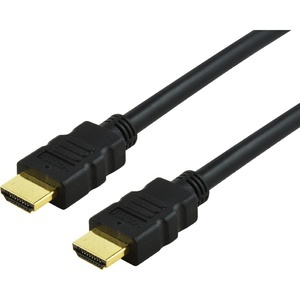 There is also another implemented feature within the HDMI: ARC. Audio return from the displays audio playback. If ARC handshaking is turned on one device may control the audio the output by back sending audio. Confused it sure is. Some leaving two display on is really not advisable depending on your setup and how your display devices handshake HDMI signals. This all aside it is simply resolved if you do a hard power off on both of your displays devices and allow the splitter to only handshake and engage ONE. You will find then it should work and you will not have to unplug HDMI cables. I use a Zigbee automated AC on/off plug for this. One is for TV and off for projector or off for TV and on for projector. The TV maybe handshaking ARC so be careful if you still want audio back channeled to your AV Receiver. (Mine does and goes into various sound modes from the TV and the Controller of the volume is controllable on the TV as the volume up and down displays receiver. It is at the end of the day very complicated. 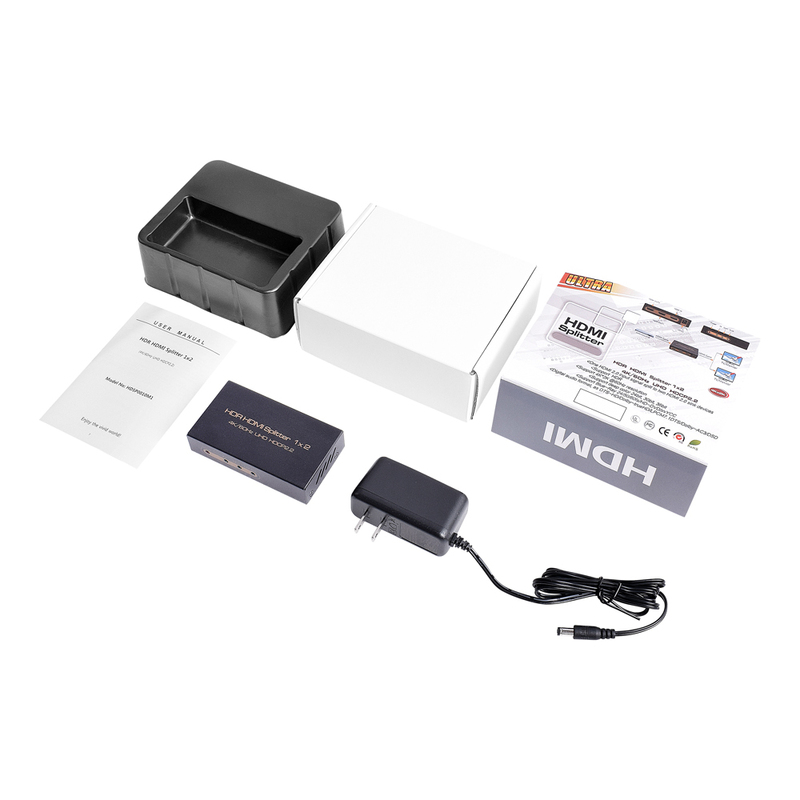 Try this on Benq $K Projector and a Sony AV 4K receiver and a Samsung 4k TV. Please be aware of the complexity of 4K. After months looking for a decent hdcp stripper I finally founded, I can get 4k 60hz with dolby atmos from my nvidia shield to my soundbar and 2013 4k Panasonic TV. It does exactly what it states. Worth the purchase. Looks and feels good and really works with the latest iQ4 from Foxtel. After some help from auselectronics to find the right one, it works perfectly..